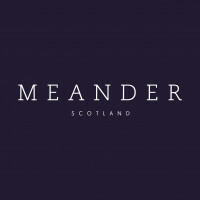 Forest Carbon is pleased to be working with sustainable clothing brand Meander Apparel, who make stylish and sustainable outerwear for urban cyclists and outdoor lovers. Inspired by Scandinavian design, Meander Apparel creates functional, timeless clothing that will last for years to come. Sustainability is one of Meander Apparel’s key brand values, so they work with responsible European suppliers and aim to cause as little harm in the manufacture process as possible. Carbon emissions that are produced will be mitigated by UK woodland creation. In partnership with Forest Carbon trees will be planted in new Woodland Carbon Code certified projects, starting with Talla & Gameshope, in the Borders. Until the end of May 2018 Meander is crowdfunding for its initial product launch - once the campaign is successfully closed the dashboard below will begin to be populated as trees are funded.